TMG entitled and converted the long-vacant historic west coast Cadillac headquarters and showroom into a modern mixed-use complex. 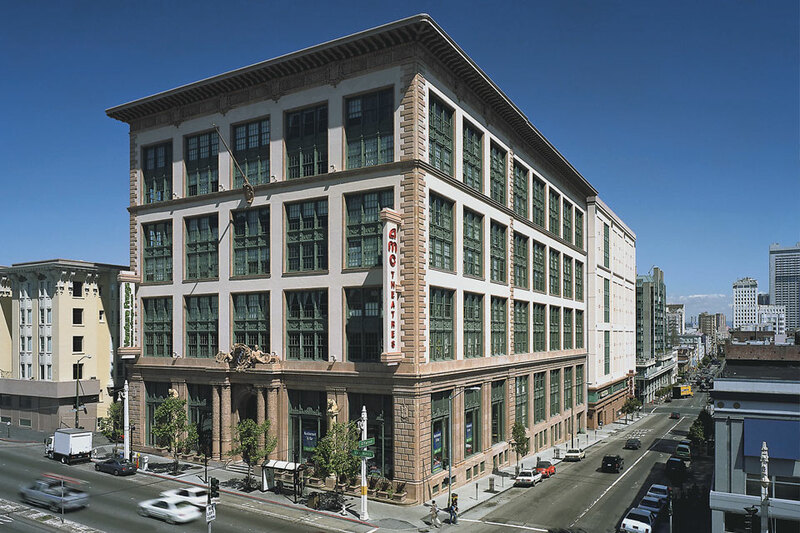 The project was designed to capitalize on a mix of the of historic architecture and state-of-the-art amenities — including the first multi-screen theater developed in San Francisco in 20 years — to create a vibrant mixed-use development of luxury lofts and retail. The new Cineplex building was uniquely designed to provide the structural support for the historic building. TMG’s completed project includes 14-screen, stadium seating, AMC Theater, 28,000 square foot Crunch! health club, 7,500 square feet of retail space, 14,000 square feet of office space, 50 luxury loft condominiums and a 450-car garage. TMG obtained 20% Federal Historic rehabilitation tax credits for the project and sold the commercial components to a REIT. TMG also created a coalition of support for the project from the City, historic preservation and the neighboring community to assist in obtaining project approvals that included an Environmental Impact Report and Certificate of Appropriateness to modify the landmark building.